Make your home feel a lot more complete and give it an industrial style by introducing this marvellous Large Lexington Silver Pendant Light. 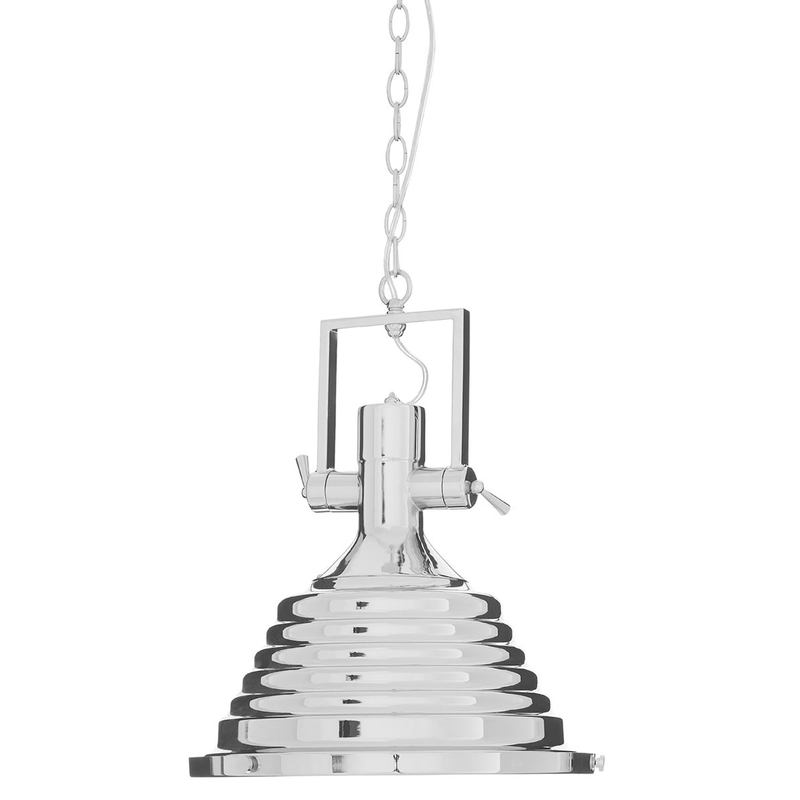 This pendant light has a stunning design which takes an industrial design and gives it a modern touch. This piece is created from a combination of Chrome, Glass and Iron ans is given a silver colour to look especially contemporary.